The 12th edition of the cricket World Cup will be played in the UK from May 30, 2019, with 10 teams featuring in an interesting format this year. The World Cup schedule was announced by the ICC in April 2018 and can be found below. A total of 10 teams will participate in this edition of the tournament and the World Cup schedule sees each of these teams take on the other side once apiece, making it 45 matches during the league stage of the competition. This will be followed by the semi-finals and the final. This World Cup will see its matches spread across the length and breadth of the country, with 11 venues picked to host the games. Each venue will host at least three matches. According to the World Cup fixtures, the venues are Lord’s and the Oval in London, Old Trafford in Manchester, County Ground in Bristol, County Ground in Taunton, Southampton, Leeds in Headingley, Cardiff, Edgbaston in Birmingham, Trent Bridge in Nottingham and Chester-le-Street in Durham. The World Cup opener will have England take on South Africa on Thursday, May 30 at the Oval in London, and this will be followed by the Windies facing off against Pakistan the next day. New Zealand’s opening game of the competition will come against Sri Lanka on June 1 at Cardiff, while on the same day qualifier Afghanistan will take on defending champions Australia at Bristol. Bangladesh will have to wait till June 2 for their opener against South Africa, and that will be played at the Oval as well, while India have opted to play their first game later on June 5 and that match will also be against South Africa – essentially, India’s first game of the competition will be South Africa’s third. The league stage of the World Cup will go all the way up to July 6 when India face off against traditional rivals Sri Lanka at Leeds and Australia clash with South Africa at Manchester. The top four sides will qualify for the semi-finals, with the team finishing at the top of the table scheduled to take on the fourth-placed side in the first semi-final at Old Trafford in Manchester on July 9. On July 11, the second semi-final will be played between the second and third-placed teams at Birmingham before the final on July 14. The full ICC Cricket World Cup fixtures can be found here. All 10 teams, hosts England, defending champions Australia, runner-up New Zealand, 2011 winners and semi-finalist India and the other semi-finalists South Africa, along with Pakistan, Sri Lanka, Bangladesh, Afghanistan and Windies will name their squads for this World Cup about a month or two before the start of the tournament. Even before that, they will be asked to name their 30-man probable squad from which they will need to pick that final 15. Expect more on the Cricket World Cup 2019 teams by April 2019. Sri Lanka Squad: Dimuth Karunaratne (captain), Avishka Fernando, Lahiru Thirimanne, Kusal Perera (wk), Kusal Mendis, Dhananjaya de Silva, Jeevan Mendis, Milinda Siriwardana, Angelo Mathews, Thisara Perera, Isuru Udana, Lasith Malinga, Suranga Lakmal, Jeffrey Vandersay, Nuwan Pradeep. Sarfaraz Ahmed will lead the Pakistan squad for the 2019 World Cup while India’s squad for the tournament can be expected to be led by Virat Kohli. The Sri Lanka squad hasn’t got too much clarity given how often their captains have changed while Shakib al Hasan will hope the Bangladesh squad is well-captained. In the recently-played Asia Cup, India had gone on to beat Bangladesh in the final while Pakistan struggled to get going, losing to India (twice) and Bangladesh in the second round to crash out of the tournament early. The teams of qualifiers Afghanistan and West Indies shouldn’t have an issue in naming Asghar Stanikzai and Jason Holder respectively as their skippers while hosts England will take Eoin Morgan as the captain of their squad for their home World Cup. Kane Williamson has captained the New Zealand team well in the lead-up to the tournament and there’s no need for a change there while South Africa‘s captaincy will be given to Faf du Plessis now that AB de Villiers has retired. The only issue with the captaincy could be down to the Australian squad that will be without Steven Smith and David Warner till very nearly the start of the World Cup. Do Australia give Smith the responsibility of leading the Aussie team or will it be someone like an Aaron Finch or Tim Paine doing that? We will know soon enough closer to the start of the 2019 World Cup. 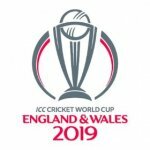 ICC Cricket World Cup 2019 Live Streaming & TV Channels are placed here. The World Cup will be broadcast live everywhere globally on TV and streamed online as well. Star Sports are the ICC broadcast partners and they will further distribute the broadcasting rights to the various TV channels in different regions around the world. In case you aren’t willing to travel to the stadiums despite being a huge cricket buff, then watching the cricket World Cup live on TV or online is going to be of absolute vitality for you. What that means is based on which country or region you are from, different TV channels and different online streaming options can be used to watch the tournament live. Below we have all the information on how the 2019 Cricket World Cup can be watched live online or on television. What Happened in Previous Cricket World Cups? West Indies were the winners of the first two editions of the World Cup that were held in the UK, beating Australia and England in the final. They were about to make it three in a row when they bowled India out for 183 in the final of the 1983 competition, but they were dismissed for 140 and India were crowned the winners. Australia came into their own and won their first ever title – first of five in fact – when they defeated England in the 1987 World Cup final. The 1992 World Cup was the first that was played under lights with coloured clothing and Pakistan came back from a hopeless situation to win the title, again beating England in the final. The next edition, played in 1996, was hosted by India, Pakistan and Sri Lanka and Australia made it to another final. Favourites to win it, Australia were taught a lesson by Arjuna Ranatunga’s Sri Lanka, but they came back in the next three World Cups to make it four title wins. Australia beat Pakistan in the 1999 World Cup final, India in 2003 and Sri Lanka in 2007 to show their cricketing muscle to the world before India clinched their second title in 2011. They beat Sri Lanka in the final. The previous edition of the World Cup was played in 2015 and the two co-hosts, Australia and New Zealand clashed in the final with the former winning their fifth title. sale india wale darte hen hm pakistanyo sb haha. World cup jitne ka to pta nhi lkin itna pta he ki india pakistan ko to zaroor haryega. Sale pakistani tum log world cup ke smi finls tak bhi pohne ka spna bnd kr 2. Sale imran khan ke kutto india se lath khane ke liye tyar raho. Sale pakistani kutto ke aulad india ko harana to dur unke jaise khel dikha paoge kya? Pakistan ka aukat kya he? Sale bhikari! Groor ka sir hamesha nicha hota he.jis ki tareekh gwah he inshallah.ho ga wohi jo Allah chahy ga.
Icc world cup winner kon?